Daca v-ati dorit vreodata sa vizitati marile parcuri nationale ale Americii, povestea mea va poate fi de folos. Nu imi plac road trip-urile oricat as incerca, insa din cand in gand ( mai ales fortata de grupul de calatorie) incerc si altfel de "chic escapes". Fiindca, parcurile nationale, trebuie strabatute alene cu masina, sau daca aveti conditie fizica la pas. Aer curat, privelisti unice, visul multor calatori. America are poate cele mai cunoscute parcuri nationale din lume, iar americanii isi fac un scop in viata din a le vizita macar o data in viata: Yosemite National Park, Sequoia and Kings Canion National Park, Yellow Stone, Grand Canyon, Arches National park si multe altele. Eu am vizitat Yosemite National Park, Sequoia si Kings Canion in timpul unei mini vacante la San Francisco. Cele trei parcuri sunt la doar 3 ore distanta, cu masina. Va puteti caza in zona, iar dimineata sa porniti la pas ( sau cu masina sa le explorati). Alocati insa minim o zi pentru fiecare parc, merita. Am plecat dupa amiaza din San Francisco, cu mici opriri, in aproape 4 ore am ajuns la cabana unde ne-am petrecut noaptea. Am vrut sa fim cat mai aproape de intrarea in parc, astfel incat dimineata sa ajungem rapid in Yosemite. Atentie in perioada vacantelor, e bine sa cautati cazare in zona din timp. Veti fi surprinsi, mai toate variantele de cazare sunt pline. Alegerea noastra a fost Yosemite Westgate Lodge, in Buck Meadows, pe Highway120, la maxim 30 de minute de intrarea in Parcul Yosemite. Locatia e absolut idilica, inconjurata de munti, paduri si nu in ultimul rand ursi ce se plimba linistiti prin vale. Dimineata devreme, am pornit spre Parcul Yosemite. Surprinzator nu era aglomerat, asa ca ne-am bucurat in voie de peisaj. Intrarea pentru masina e 20USD si poti petrece toata ziua, plimbandu-te. Parcul este evident super intretinut, atentia pentru protejarea florei si faunei fiind prioritare. Inca de la intrare, un ranger iti da cateva pliante informative,o harta, foarte bine venite de altfel. Aici veti vedea pasiunea americanilor pentru vacantele cu rulota. Exista evident parcari amenajate separate pe tipul de masina :), astfel incat posesorii de rulote sa aiba spatiu din plin. Americanii sunt printre primii care au amenajat aceste mari parcuri nationale, cu scopul précis de a proteja zona. Abraham Lincoln a fost primul care in 1864, a declarant Valea Yosemite si Padurea de arbori gigantici Sequoia, bunuri de importanta nationala ( pazite la propriu). In 1890, au fost ridicate la rangul de parcuri nationale. Parcul national Yosemite, se intinde in zona Muntilor Sierra Nevada pe o suprafata foarte vasta, plina de privelisti ametitoare, sute de lacuri, cascade, coaste stancoase uriase ( monoliti), paduri de conifere, arbori ginganti si mii de specii de plante si animale. Yosemite este usor de recunoscut prin stancile urise de granit, in forma de domuri, ce domina peisajul. Aici puteti admira , unul dintre cei mai mari monoliti din lume, El Capitan, inalta de 1.097m. Half Dome, este un alt monolit iconic in zona ( pare taiat in partea de sus, insa e doar o iluzie optica), preferatul pasionatilor de hiking. Spread your wings! Glacier Point, 2200m, Yosemite national Park. I don't know why the weather outside makes me think of Yosemite National Park . Probably autumn landscape and the constantly changing colours . If you've ever wanted to visit the great national parks of America , my story will be helpful. I do not like road trips no matter how hard I try , but sometimes I go(especially forced group travel ) and try to experience another type of " chic escapes " . Because, when visiting a national park, I need a car, or you can visit by foot, if you have physical condition. Fresh air, unique landscapes , the dream of many travellers . America has perhaps the most famous national parks in the world, and Americans consider their purpose in life visiting them at least once in life : Yosemite National Park, Sequoia and Kings Canyon National Park, Yellow Stone, Grand Canyon, Arches National Park and more. 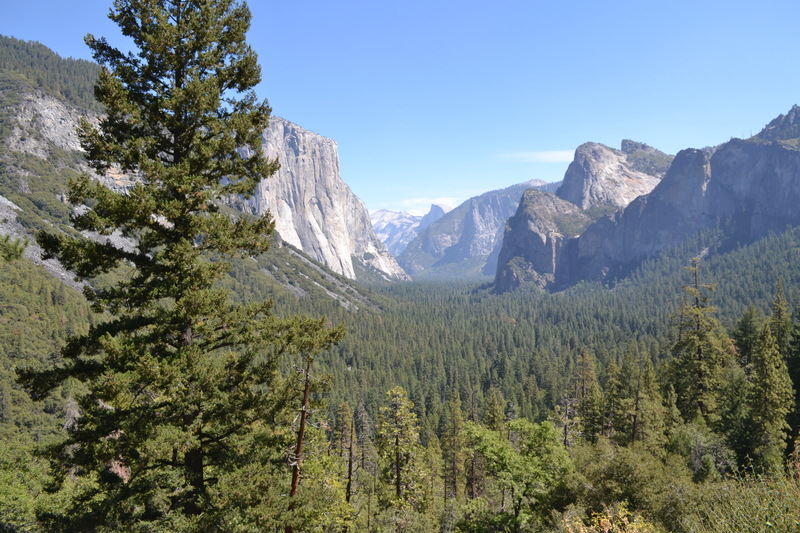 I visited Yosemite National Park, Sequoia and Kings Canyon during a mini vacation to San Francisco. The three parks are just 3 hours away by car . You can stay in the area, and in the morning you can head directly to the park by foot or by car . Allow at least one day for each park. 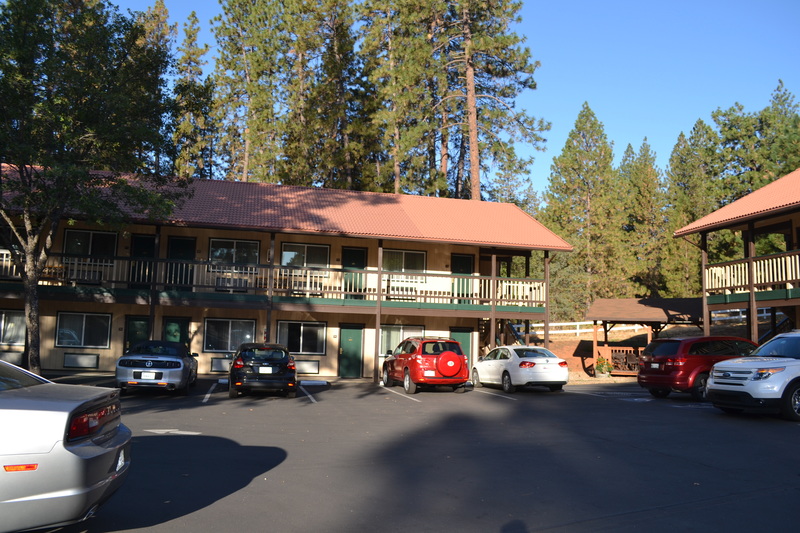 We left in the afternoon from San Francisco and in about 4 hours we reached the lodge where we have spent the night . 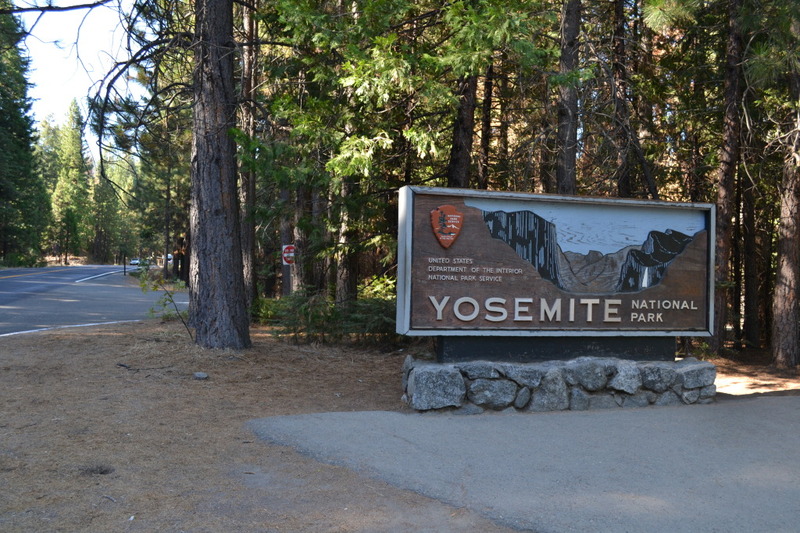 I wanted to be closer to the park entrance, so in the morning we headed quickly to Yosemite. Attention: during the holidays , you should search for accommodation in the area as earlier as possible, or you will be surprised , most of the accommodation options are full. Our choice was Yosemite Westgate Lodge in Buck Meadows, close to Highway120 , within 30 minutes from the entrance of Yosemite Park . The location is absolutely idyllic , surrounded by mountains , forests and not at least bears that wander quietly through the valley. Early in the morning , we went to Yosemite Park . Surprisingly it was not crowded , so we enjoyed the scenery freely . Car entry is 20USD and you can spend all day strolling around. The park is obviously super maintained, the protection of flora and fauna being high priority. From the entrance, a ranger gives you some leaflets and a map. Here in the park, you can see the Americans passion for camp van-holidays . There are obviously separate parking spaces for each type of car 🙂 so van owners have plenty of space . Americans are among the first to set up the largest national parks in order to protect the nature. Abraham Lincoln was the first in 1864 , who declared Yosemite Valley and the forest of giant Sequoia trees , goods of national importance ( guarded literally) . Yosemite National Park , lies in the Sierra Nevada Mountains, on a vast area full of stunning views , hundreds of lakes , waterfalls, rocky coasts huge ( monoliths ) , coniferous forests , gum trees and thousands of species of plants and animals. 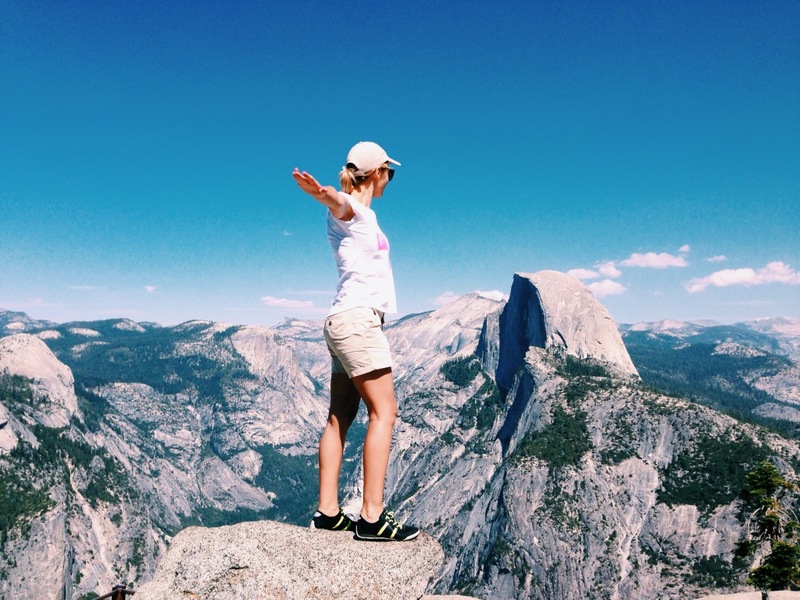 Yosemite is easily recognized by huge granite cliffs, shaped domes that dominate the landscape . 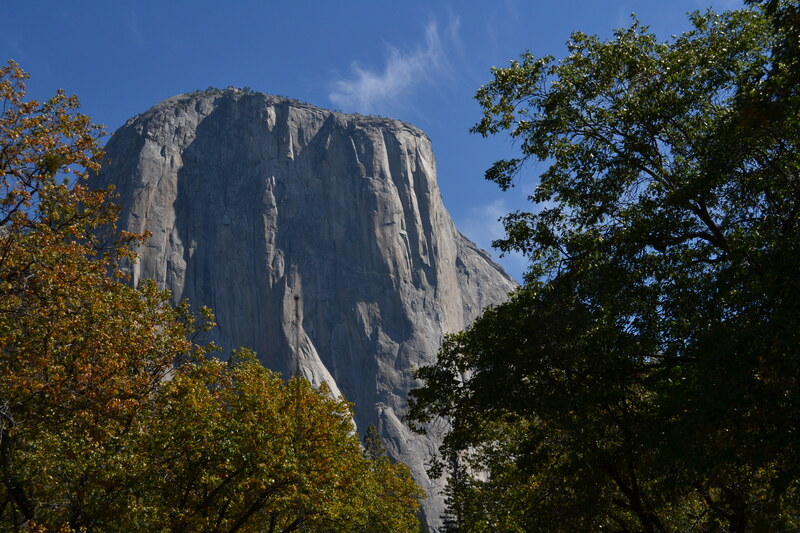 Here you can admire one of the largest monoliths in the world, El Capitan , 1.097m high . 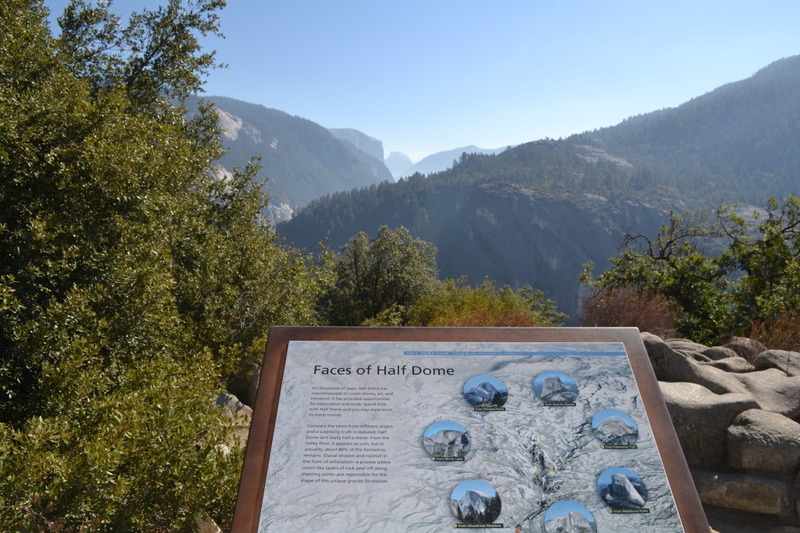 Half Dome is another iconic monolith ( apparently cut at the top , but it's just an optical illusion) , best choice for hiking enthusiasts .